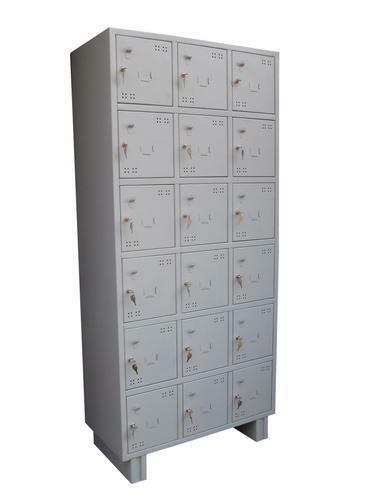 We are offering 18 Door Commercial Lockers to our client. Incepted in the year 1995, Ashpri Enterprises [Thane] is a well-known firm engaged in Manufacturing and Trading of Storage Compactor, Library Furniture, Storage Lockers, Magazine Stands etc. We are located in Maharashtra and maintain a state of art infrastructure which is well equipped with all essential facilities. Our working force is well experienced in providing innovative and enhanced designs.